We’ve lost an hour of sleep. 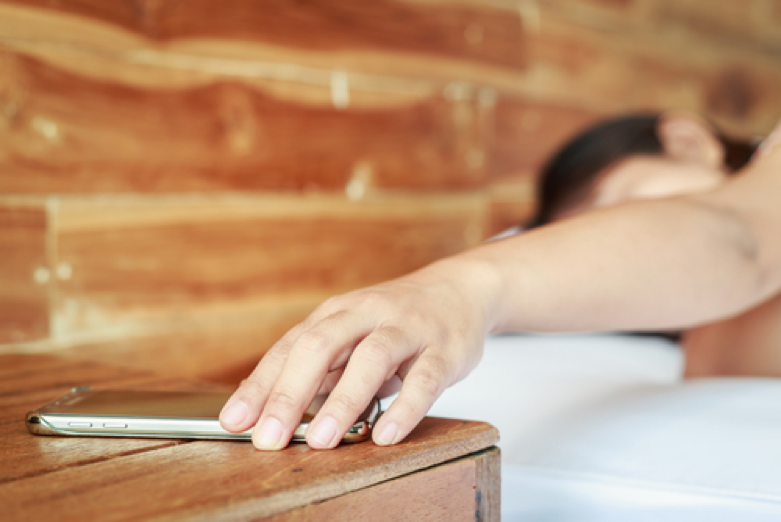 Forty years ago, the average American slept about seven hours a night. Today, it’s right around six. Is it the computer screen that’s robbing us of that precious hour or is it racing thoughts of deadlines? PHowever, while tech gadgets can hinder sleep, they can also help. Here are some of the best and newest small gadgets that might just help you get some much-needed rest. This little contraption is designed to use rhythmic breathing to reduce the time it takes you to fall asleep. While the blue light of your smartphone is bad in the bedroom, this pulsing blue light is different. When the light gets bright, you breathe in. As it darkens, you breathe out and release the stresses of the day. When you focus on breathing, your mind eclipses all other thoughts and helps you drift off into a peaceful slumber. An app made to help astronauts sleep will put even the most stubborn of snoozers to rest. Yes, you use your smartphone, but it’s not like you’re checking Facebook or reading your emails at midnight. The app uses pink noise to rock your brain to sleep. The neurosensory algorithms produce low-frequency sounds and beats that match sleep waves. It’s very scientific. Make sure you have a smartphone like the LG G5 that features wireless charging capabilities so you don’t wake yourself up from this deep hibernation to fumble in the dark for a charging cord. That would be annoying. Pair a movement sensor with a bedside illuminated smart alarm clock and get some much-deserved sleep. The Aura system helps you fall asleep by using color wavelengths to promote the secretion of melatonin. It wakes you up the same way by reducing melatonin secretion. The Sleep Sensor monitors your sleep cycles and creates a wake-up program that’s exclusive to you. The system works with Nest home automation to match the temperature to your wake and sleep patterns, too. Lucid dreaming helps you sleep deeper and wake up feeling positive and refreshed. Luciding is a cutting-edge device that the makers claim will help you tune into your dreams in a lucid state. This wearable dreaming enhancement device places electrodes in contact with your skin and sends impulses to the prefrontal cortex when you are in an REM state. The Bluetooth gadget pairs with its app to give you the deepest sleep on the planet. If you want to fly in your dreams, this is the gadget for you. Contact the website for pre-order information. This sleep therapy mask uses Eastern meditation techniques to calm active brain waves. Hold the mask up to a light source for 30 seconds and then slip it over your eyes. The combination of a blue glow and your eyes looking upward helps relax your anxiety, allowing you to put the day behind you and focus on sleep. The soft luminescent glow inside the mask also helps you focus on rhythmic breathing. The soft foam mask is battery- and wire-free.